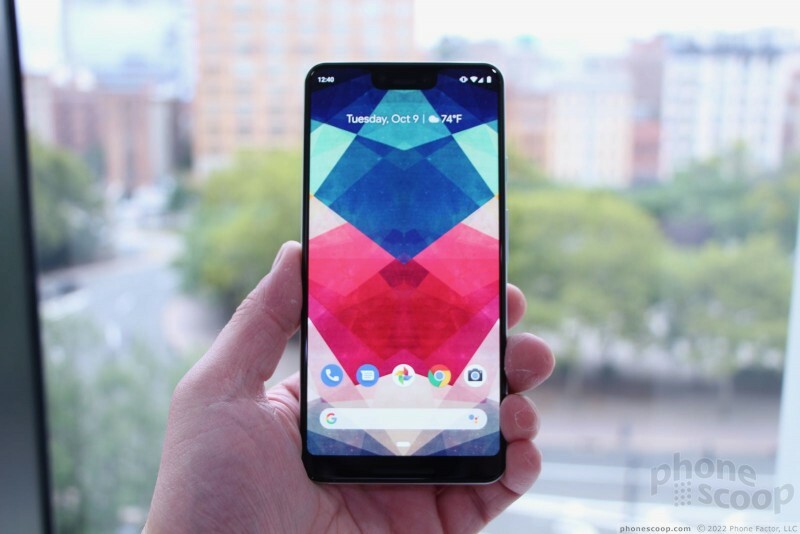 Google's flagship Android devices are here! 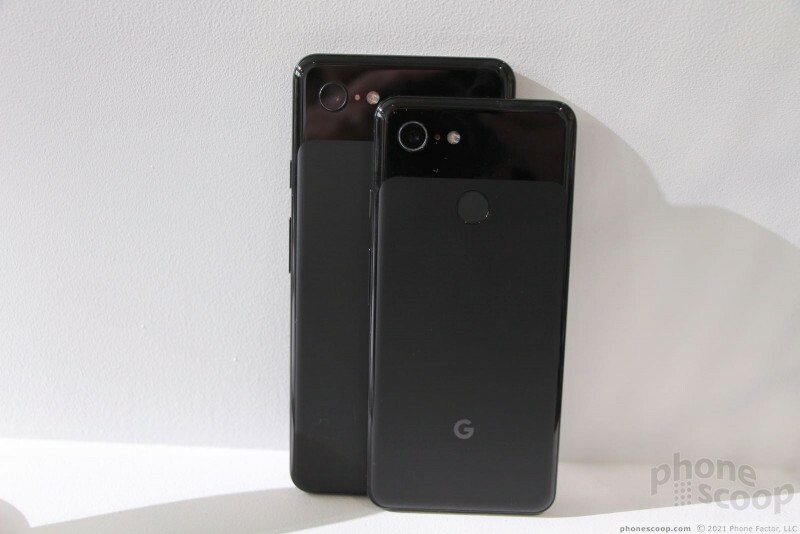 The Pixel 3 and Pixel 3 XL carry forward Google's vision of AI-boosted mobile computing. 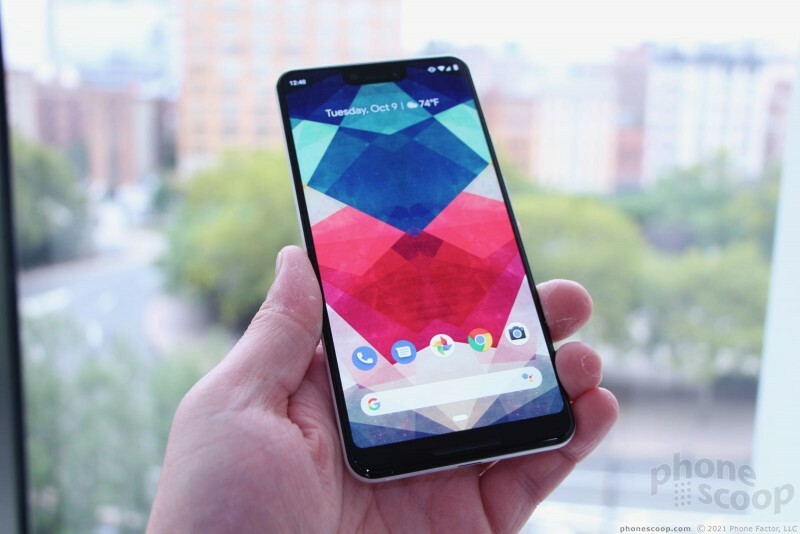 The phones offer larger displays and new cameras with gobs of new photo-processing power — all backed by Google Assistant. 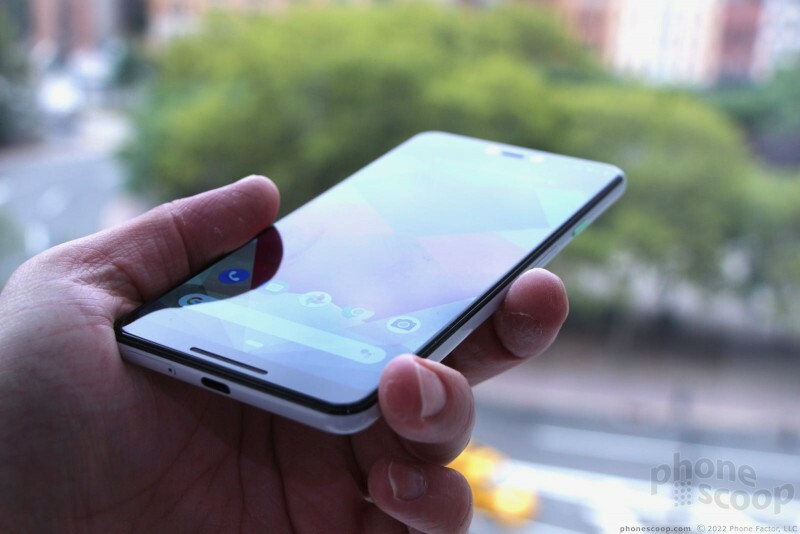 Here is our in-depth preview of Google's new phones. 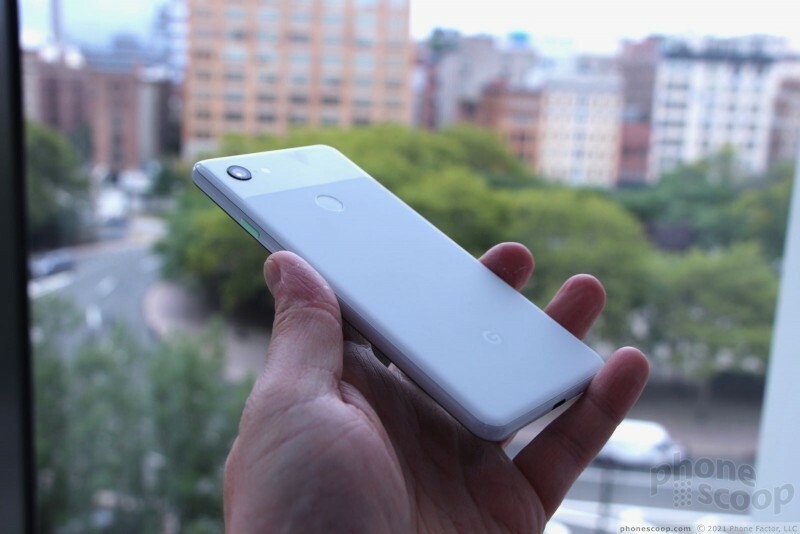 Google announced lots of brand new hardware today, including the Pixel 3 and 3 XL phones. 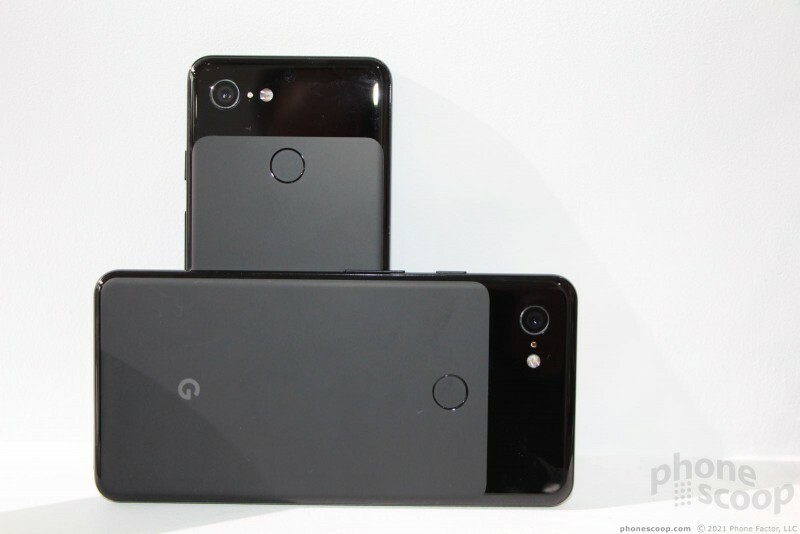 These devices pick up where last year's left off and are largely similar in terms of overall design and feature set. 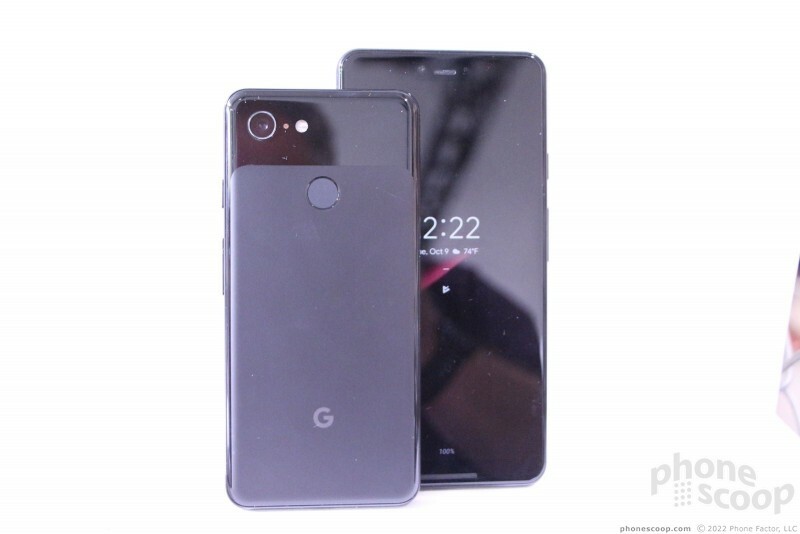 As has been the case with Google's Pixel line, the company focused on the screen and the camera. 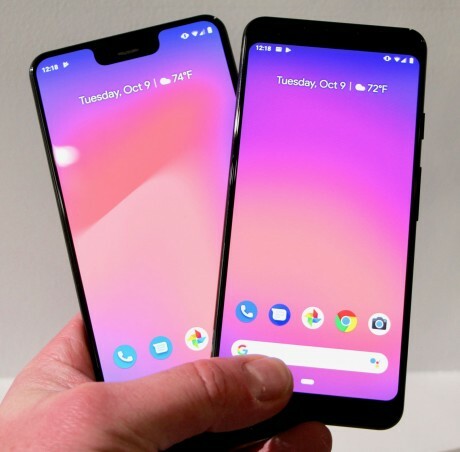 Of course, Google made plenty of tweaks along the way in order to entice people to upgrade to these new wunderphones. 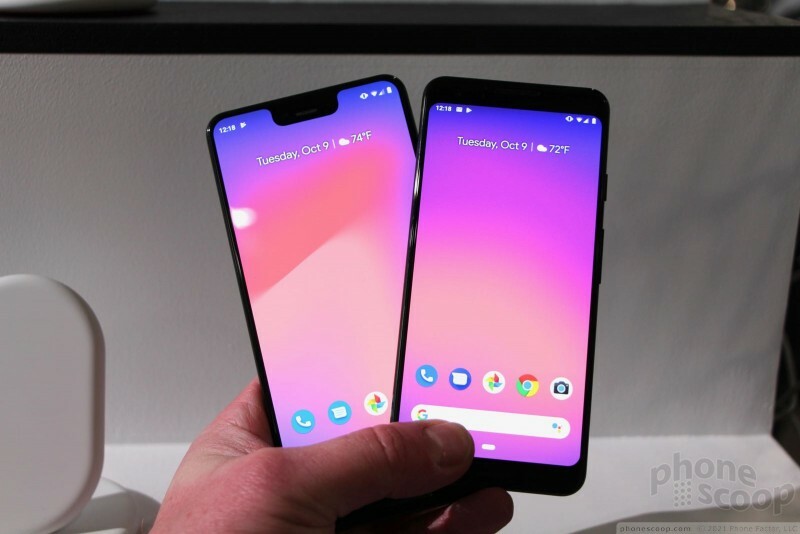 These are the most seamless phones Google has ever designed. The frame is made of metal, but given a ceramic-like paint job. It's highly glossy and smooth. The front is a clean slab of glass with slight curves along the edges. The rear panel is impressive. 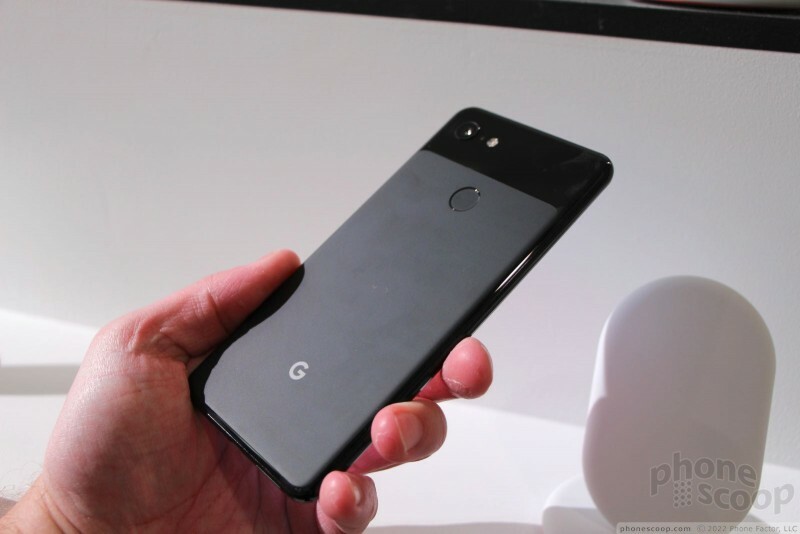 On older Pixel phones, the rear was made of metal and glass, with a hard line between the two. 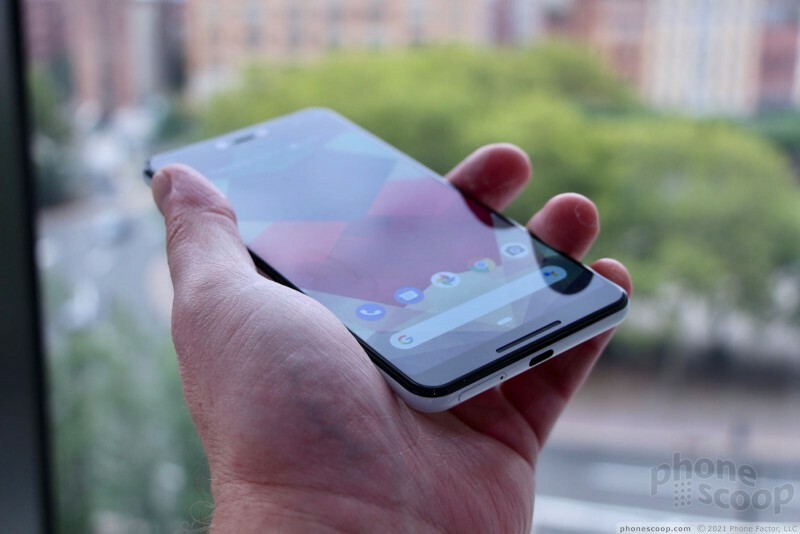 This year, Google went with a single piece of glass that has been etched along the lower portion to give it a matte texture that's more grippy than the polished and smooth upper portion. It feels amazing. There are no seams that you can feel with your hands. The quality is outstanding. 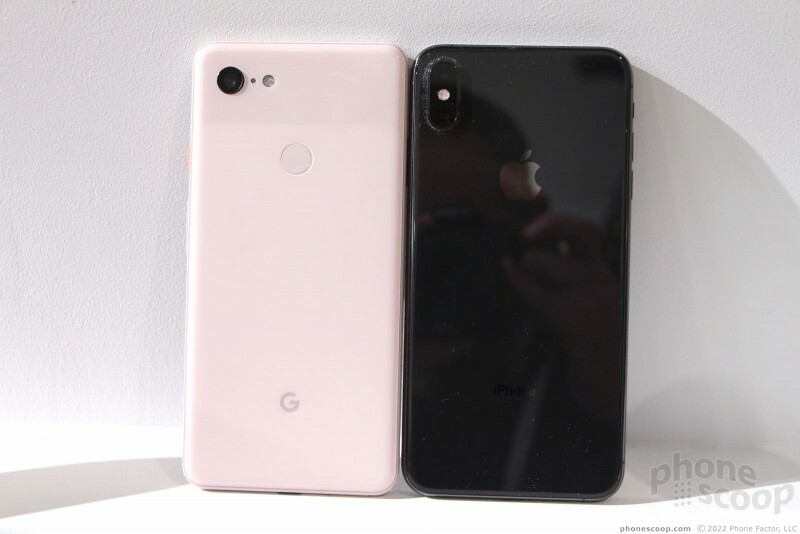 The Pixel 3 series phones are an obvious step up from the Pixel and Pixel 2. 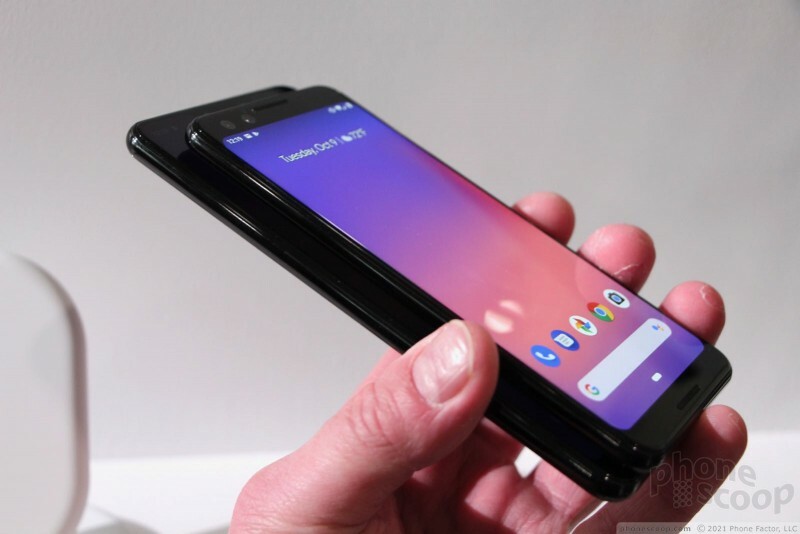 This is Google hitting its stride in terms of hardware design and execution. 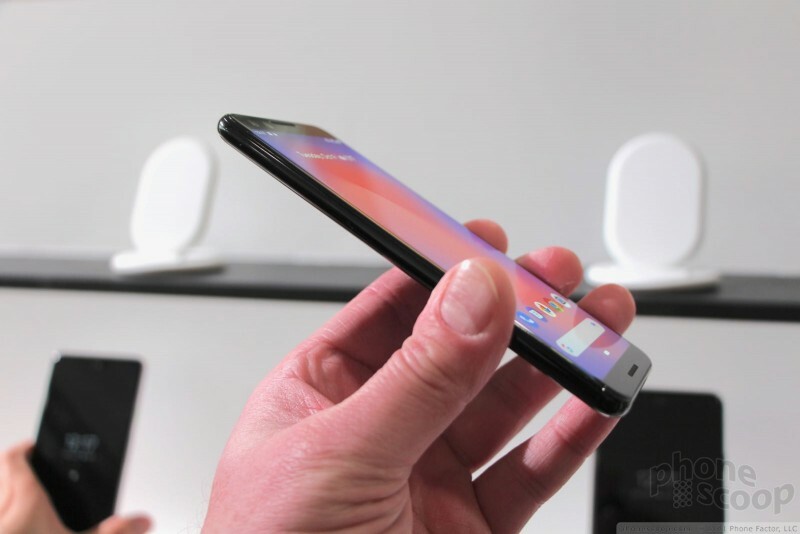 Both glass surfaces are Gorilla Glass 5, and the phone is rated IP68 for protection against water/liquids. The screens are interesting. 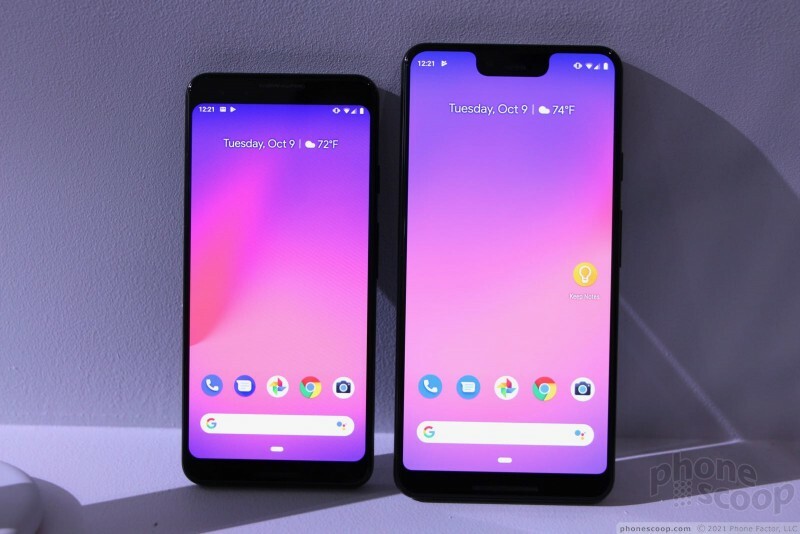 The smaller Pixel 3 has a full HD+ screen that measures 5.5 inches at 18:9, while the larger 3 XL has a quad HD+ screen at 6.3 inches at 18.5:9 with a deep notch. 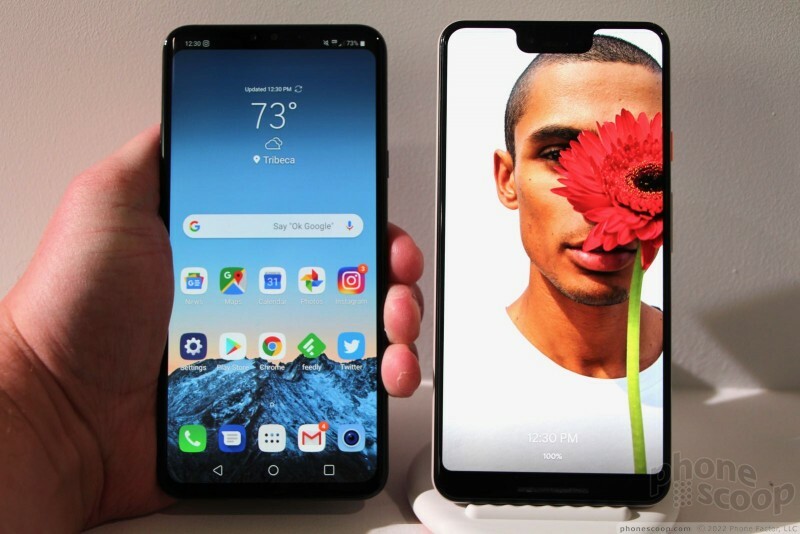 Both displays have 24-bit color, 100,000:1 contrast ratio, and HDR. 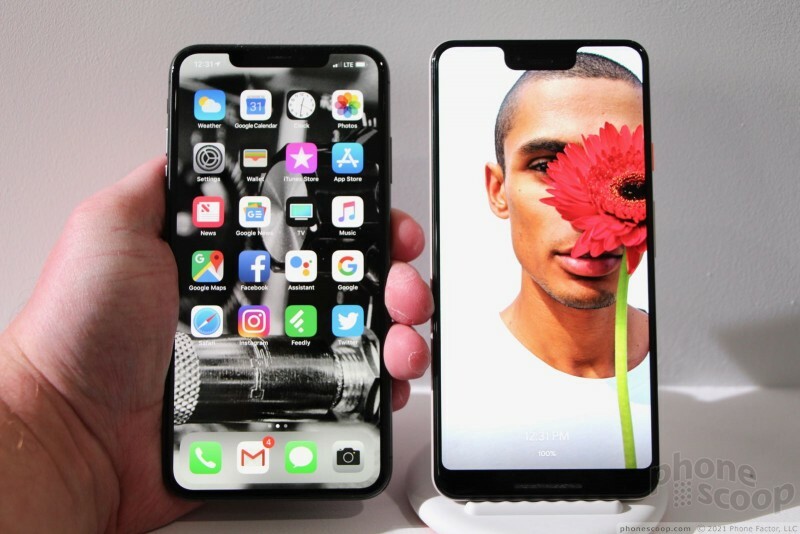 These screens, made from plastic OLED, look outstanding. They easily shone bright enough to be seen in the very bright event space. Colors looked rich, blacks looked absolute, and the resolution is more than dense enough. 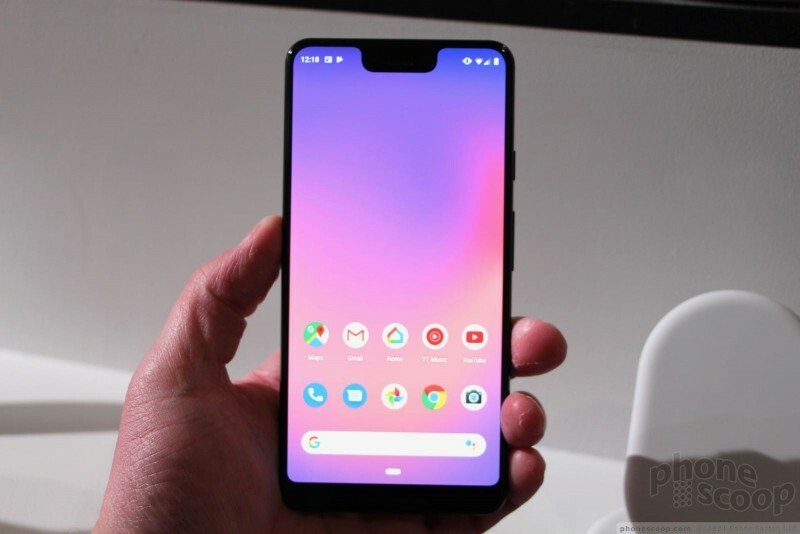 I'm sure people will complain about the notch on the Pixel 3 XL, and it is oddly deep, but I think most owners will lose sight of it over time. 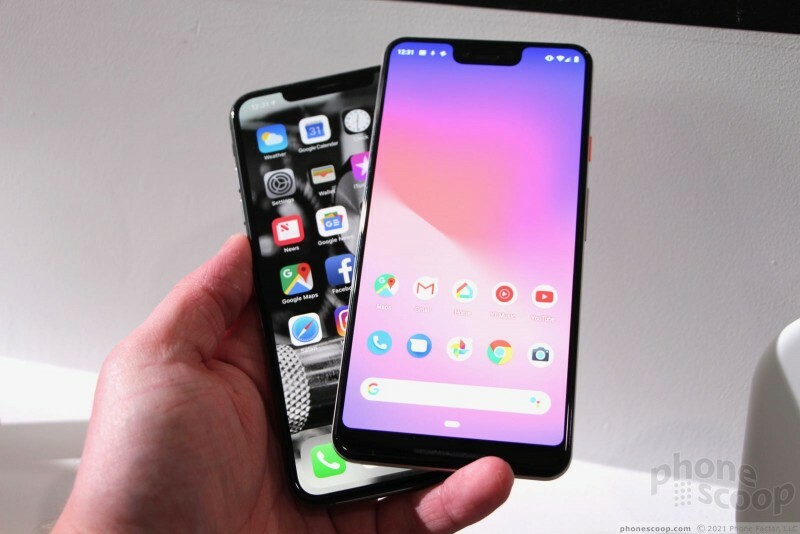 There are no hardware controls on the face of either phone. You'll find the buttons along the right edge. The screen lock key, which is colored mint on the white model and orange on the sand model, stands out nicely thanks to the good profile. Travel and feedback is fine. The volume toggle below is a long, thin strip that I didn't have any trouble finding and using. Action is good. 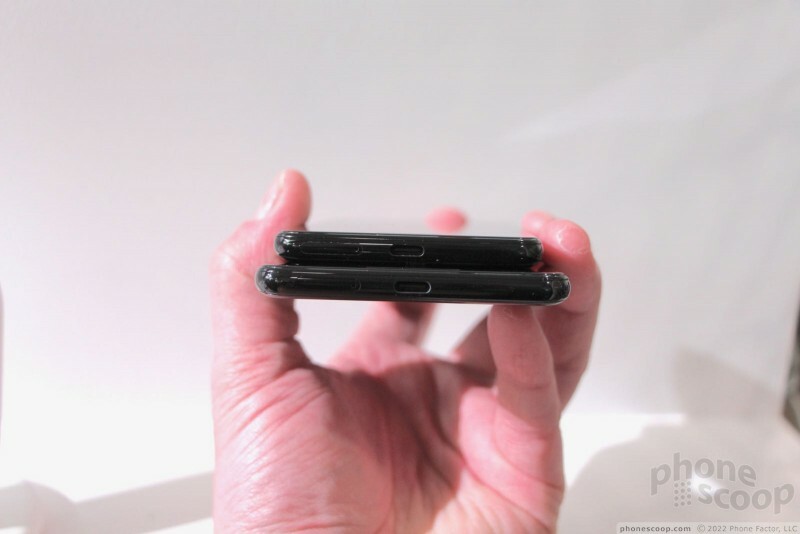 The USB-C port is on the bottom and there is no headphone jack. That's sure to irk some. 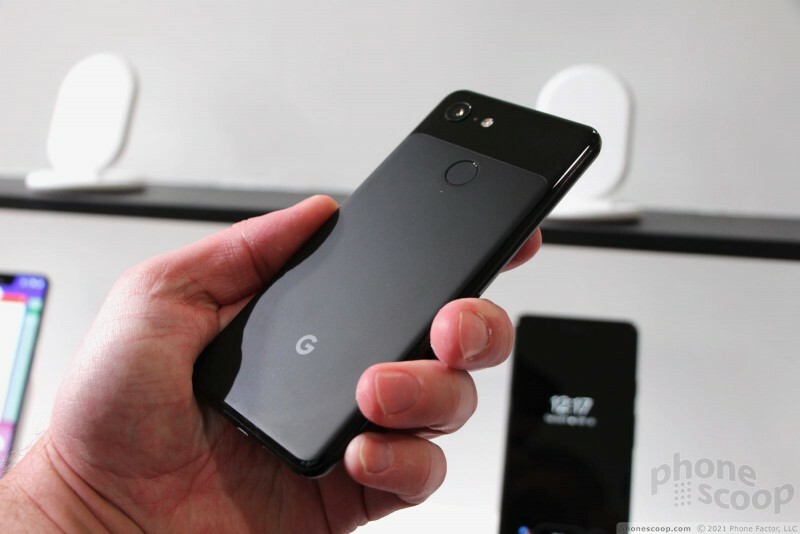 Google is including a set of USB-C headphones in the box, as well as a USB-C-to-3.5mm adapter. Still. Grrr. 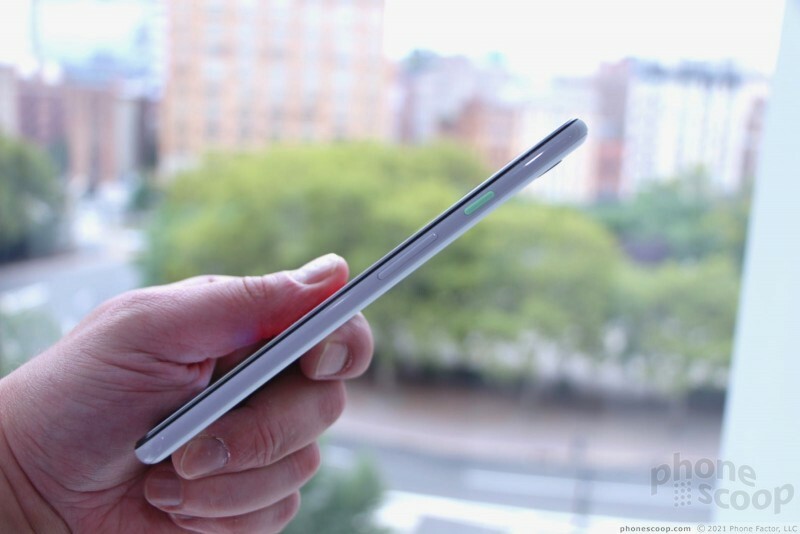 Interestingly, the SIM card slot is on the bottom edge. I don't know that I've ever seen such placement for a SIM card tray before. You'll need a tool to interact with it. There's nothing along the left side or top edge. 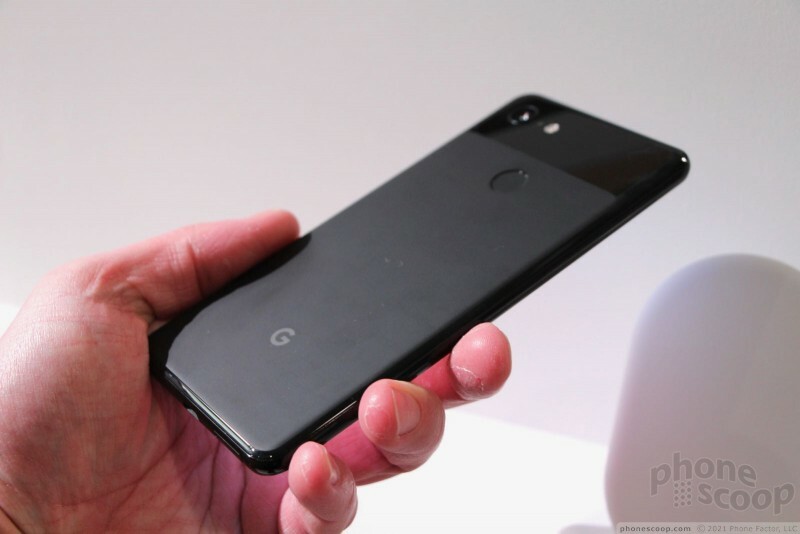 As noted above, the rear panel is a single piece of glass. The camera, mic, and flash are tucked into the top-left corner. 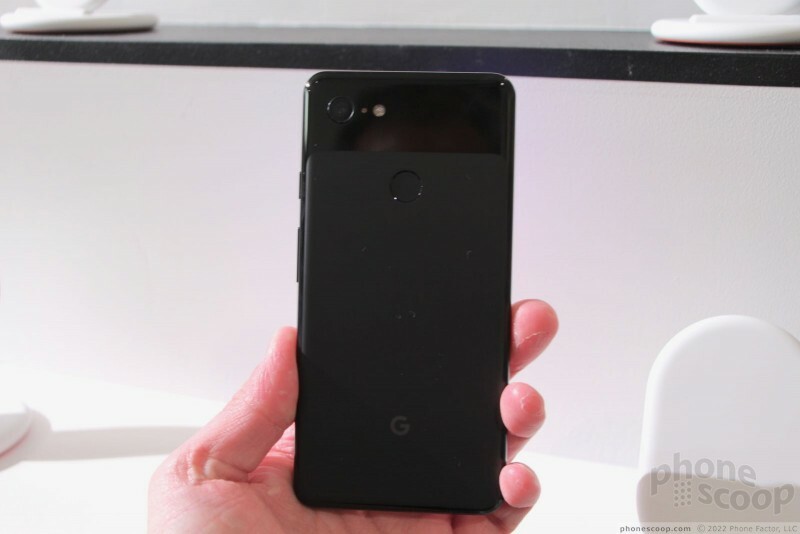 The camera module is circular and stands out just a bit from the surface of the glass. 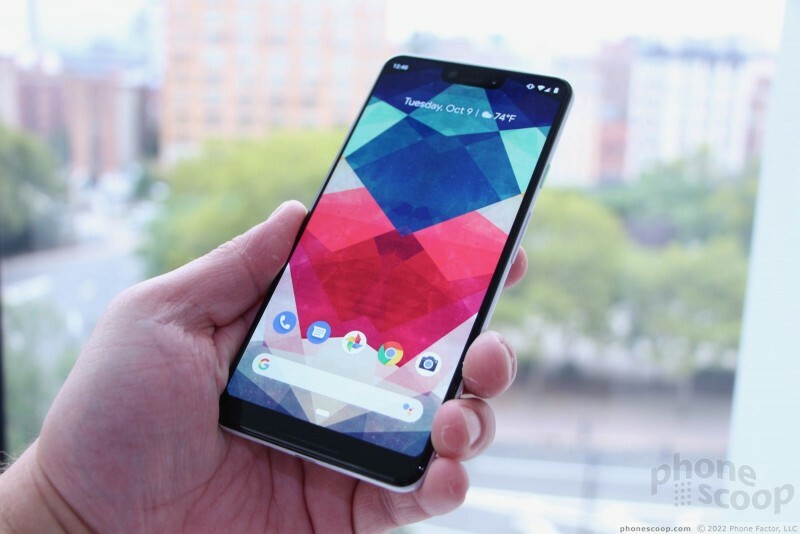 The hardware is sure nice, but so is Google's software. 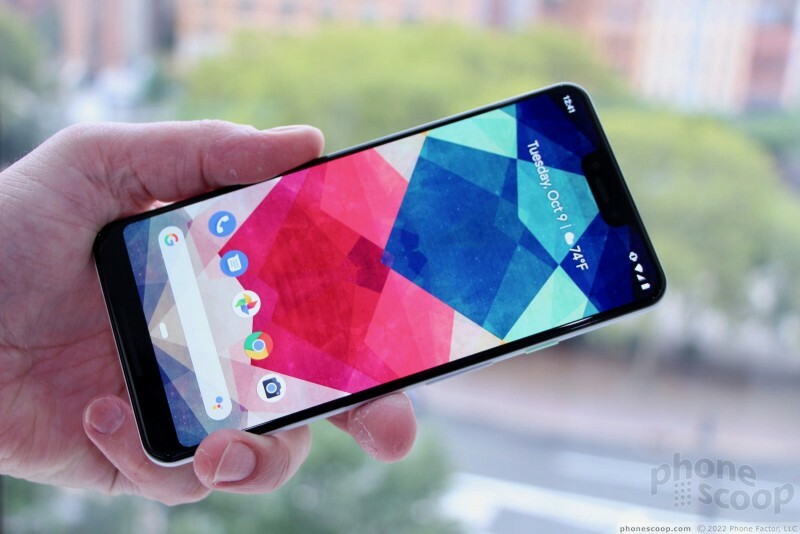 The phones run Android 9 Pie and it runs incredibly quick thanks to the Snapdragon 845 processor — and in spite of the 4 GB of RAM. 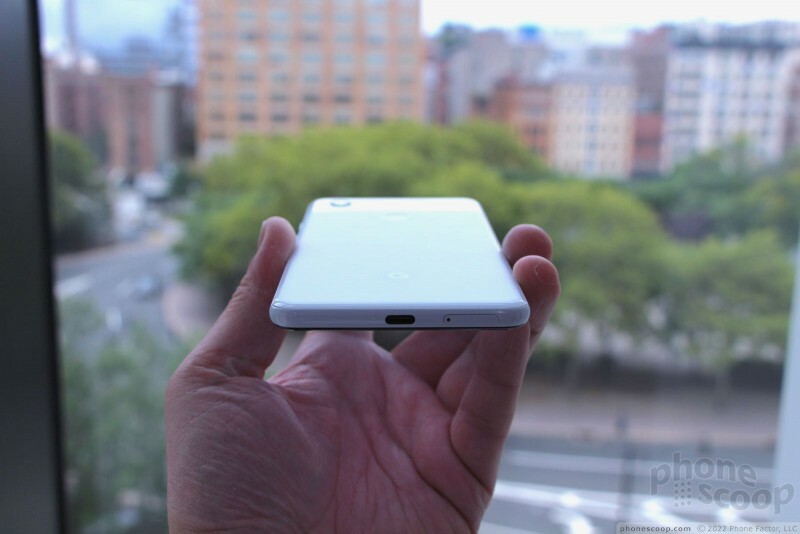 Competing Android flagships are offered in 6 GB and even 8 GB variants. 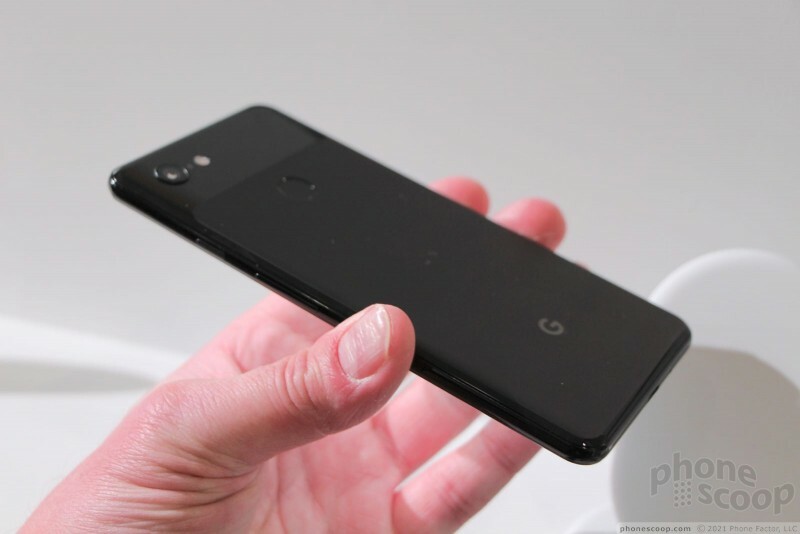 It's odd to see Google go with just 4 GB. Like I said, the phone runs quickly. 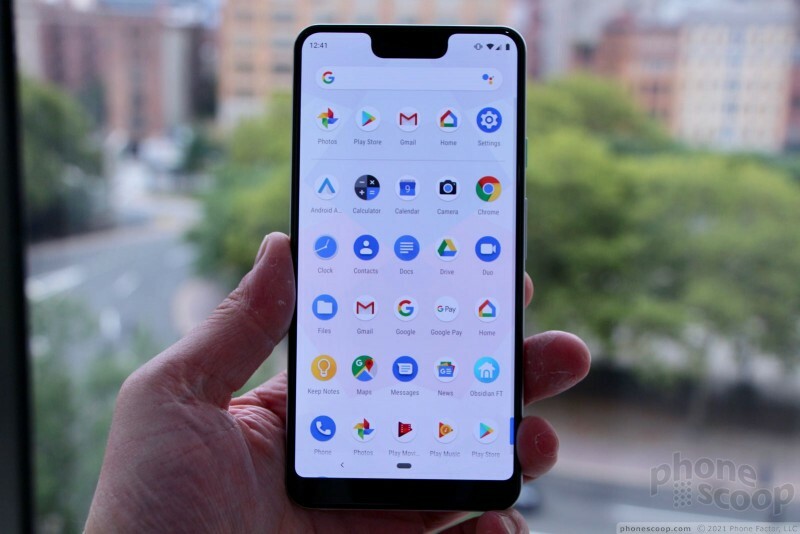 The basic software experience is just like the one that's available from Pie on the Pixel and Pixel 2. The majority of the differences are found in the camera app, which now includes added tools for snagging the best possible shot. The camera app is slightly altered to accommodate these additional modes. 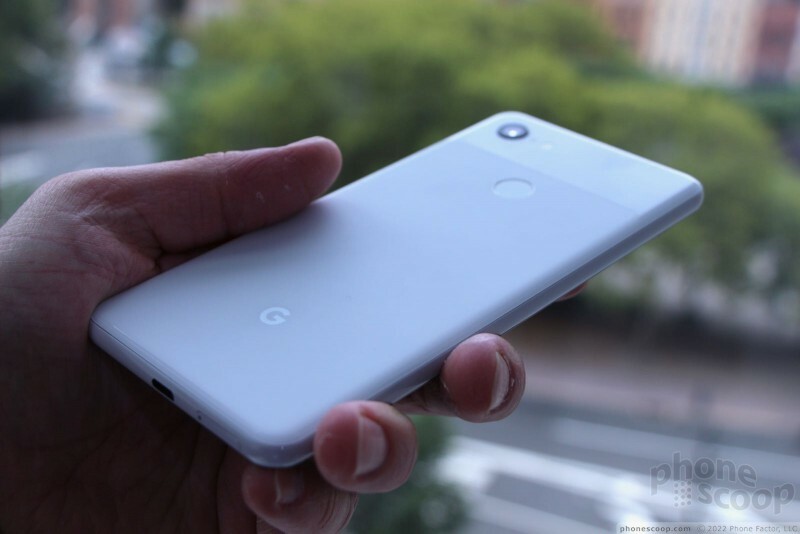 Google selected a single 12.2-megapixel sensor at f/1.8 for the rear camera. 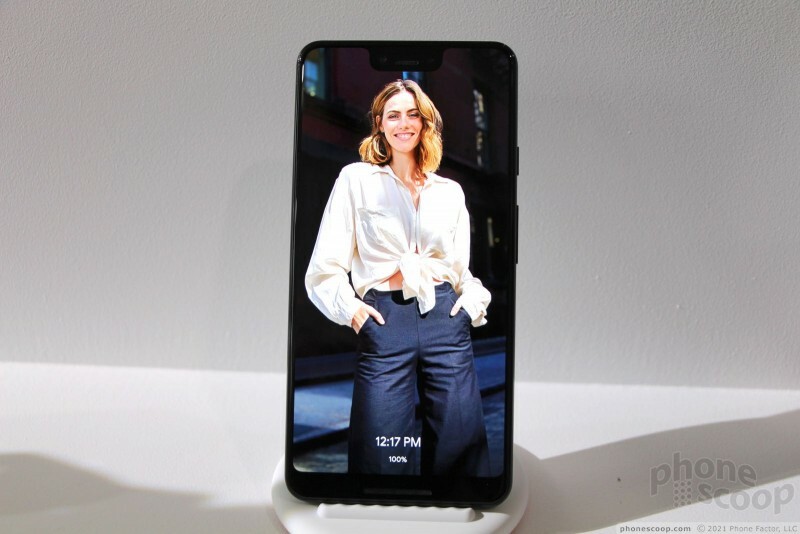 This is in direct contrast to the dual- and tri-camera systems now appearing on phones like the Note9 and V40. Some features include optical and electronic image stabilization, spectral+flicker sensor, and video capture up to 4K. 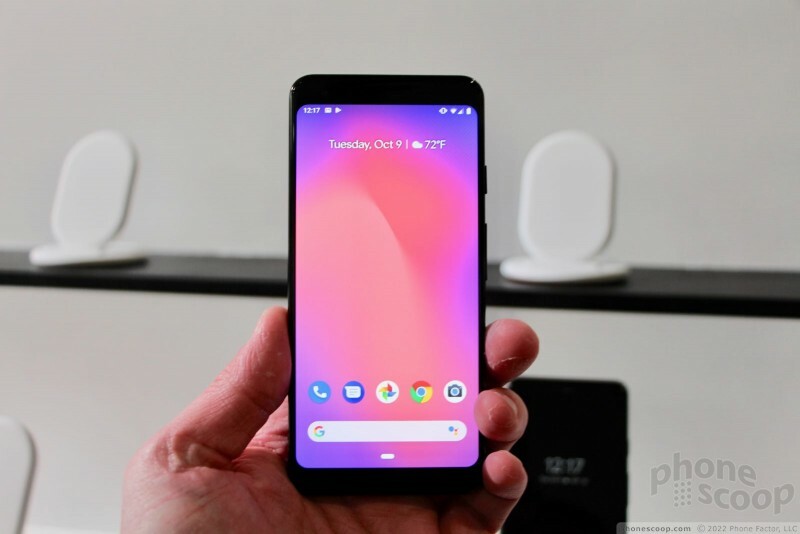 Google says its new zooming technology allows people to take clearer, sharper images when zoomed in. 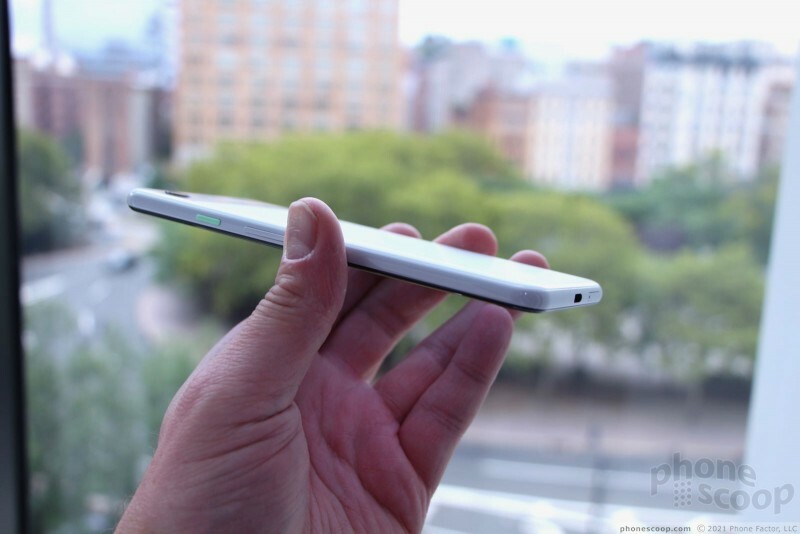 We'll assess this as we review the phone. Two cameras appear on the front. 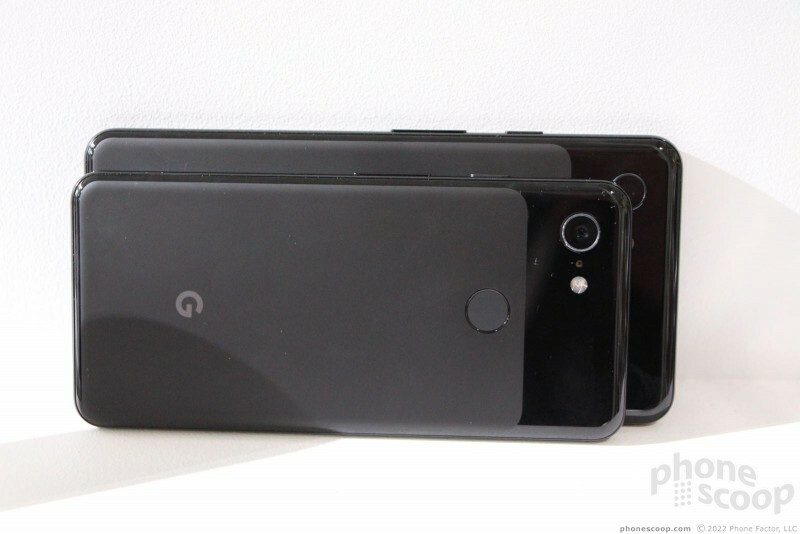 Both have 8-megapixel sensors, but the lenses vary. The main lens has a 75-degree field of view at f/1.8 and the secondary has a 97-degree field of view at f/2.2. 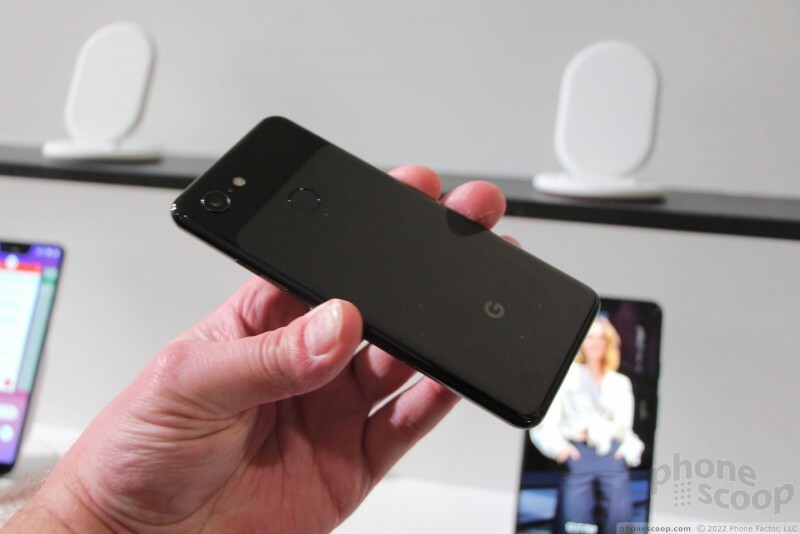 Google envisions people taking lots of group selfies with this camera. 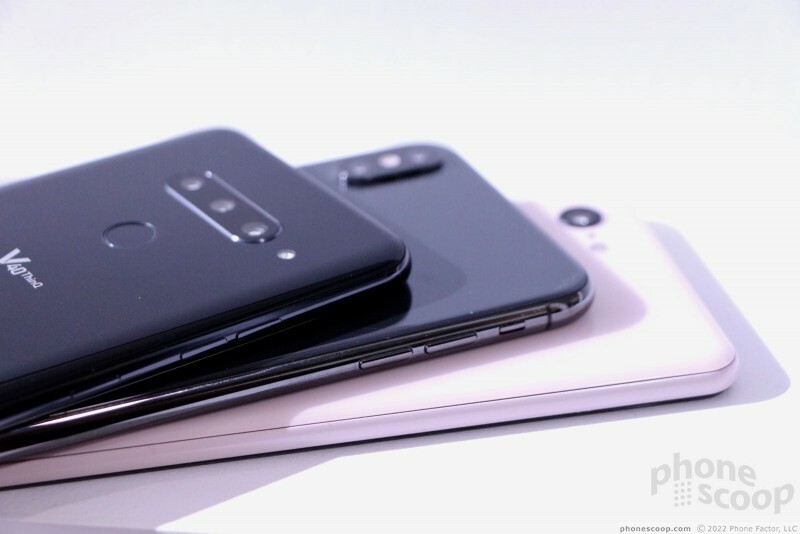 These are expensive phones. 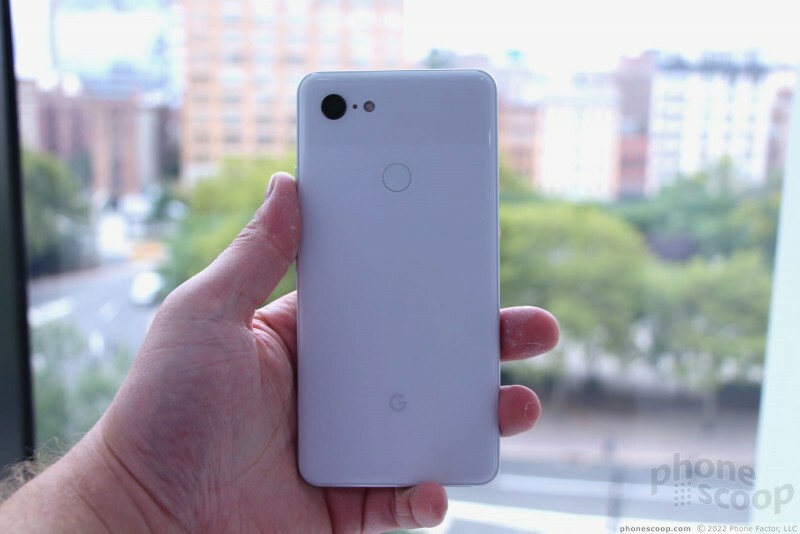 The Pixel 3 costs $799 for 64 GB or $899 for 128 GB. 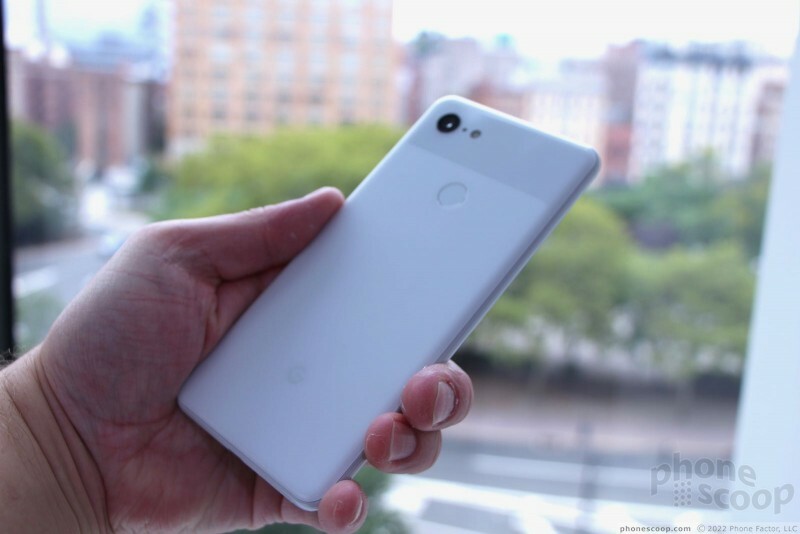 The Pixel 3 XL costs $899 for 64 GB or $999 for 128 GB. 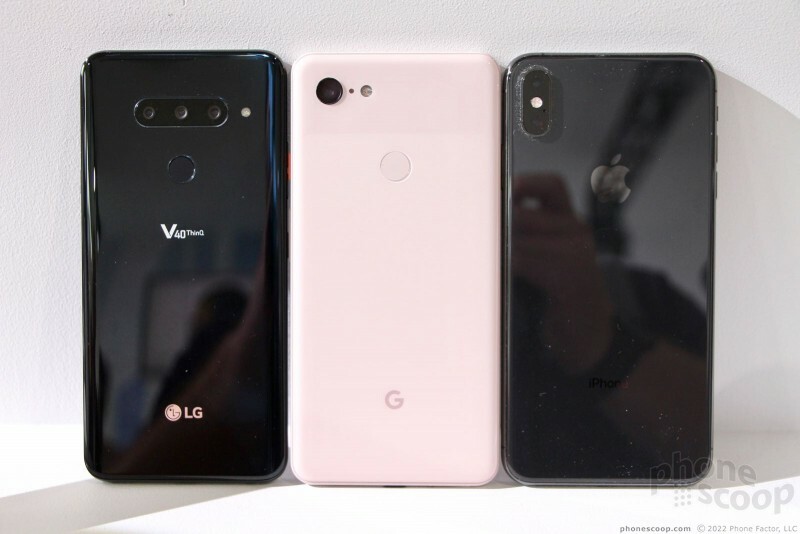 These costs fall in line with competing phones from Apple, LG, and Samsung. 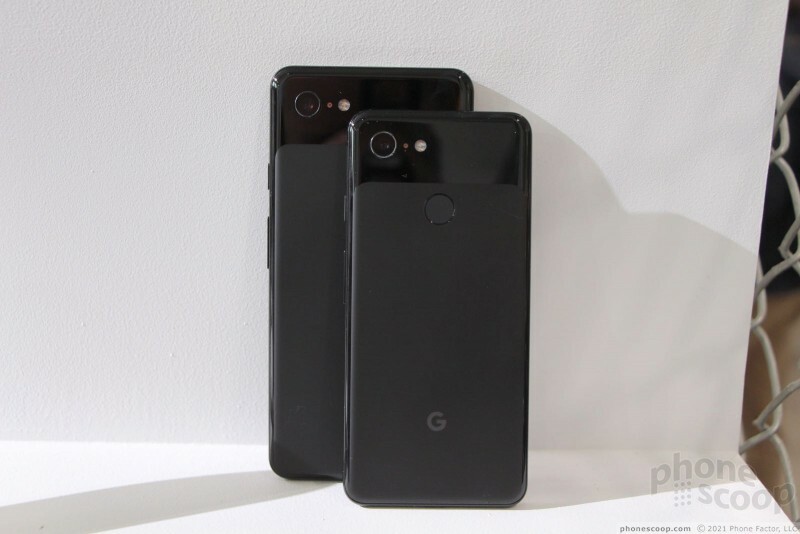 Verizon will be the only carrier offering the Pixel lineup, but you can buy either one unlocked from Google or via Google's Project Fi service. 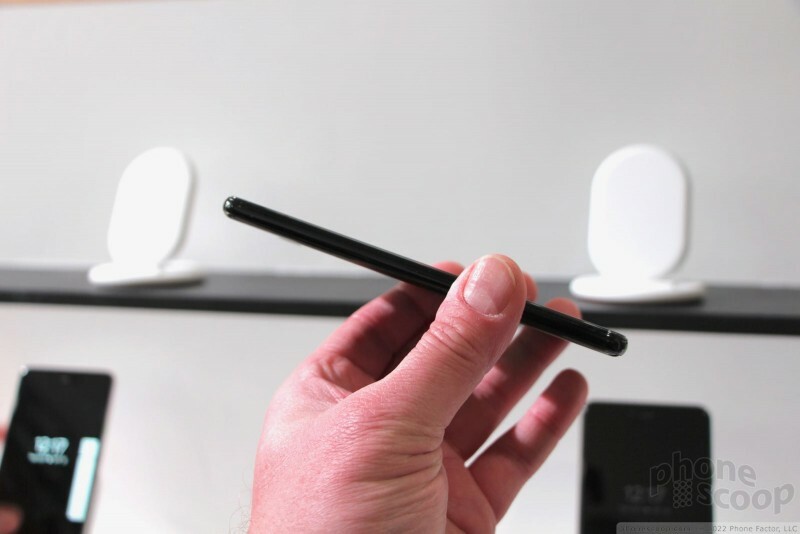 While I enjoy and appreciate Phonescoop's coverage of upcoming devices, I must admit that I stopped reading at "no 3.5mm headphones jack." 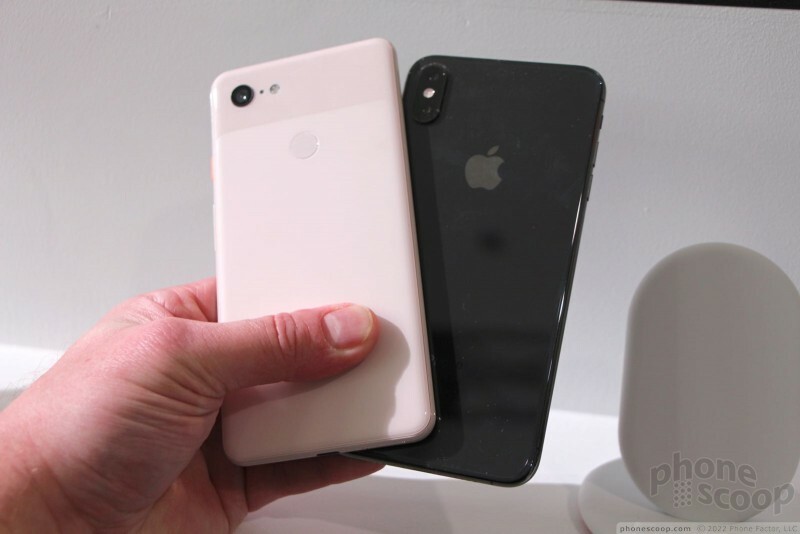 It is for this very reason that I'm using a Galaxy S9 instead of an iPhone 7, 8, X, or Xs; I'm not paying such an exorbitant amount in order for Apple (or now Google) to arbitrarily render useless every audio peripheral that I own. 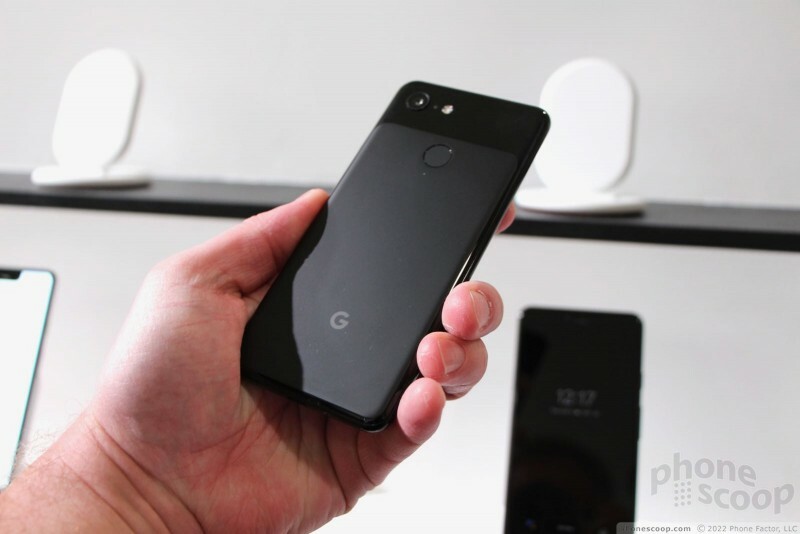 Google and other manufacturers must produce the hardware that fits their long-term plans, and if that doesn't include the 3.5 jack, well, so be it. That's perfectly within their rights. 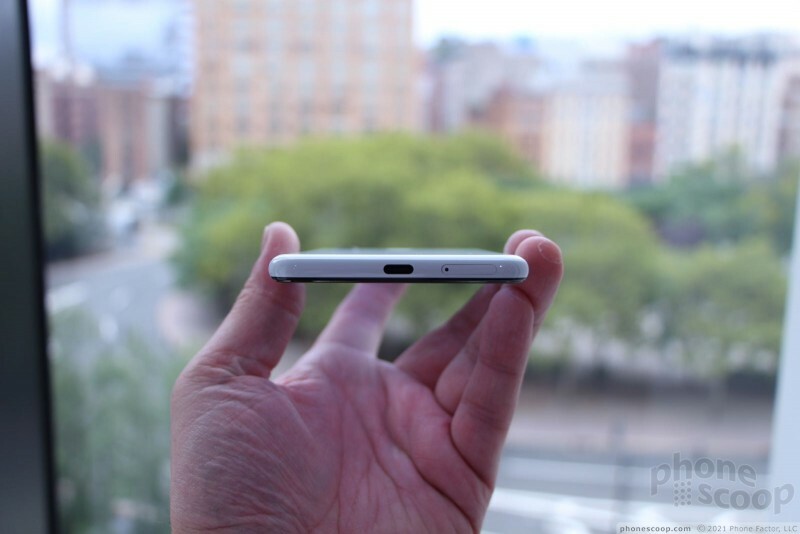 Hey bro, the 1980's called, they want their headphone jack back. This is why the USA is so far behind in use of technology, people resist change and advancement. 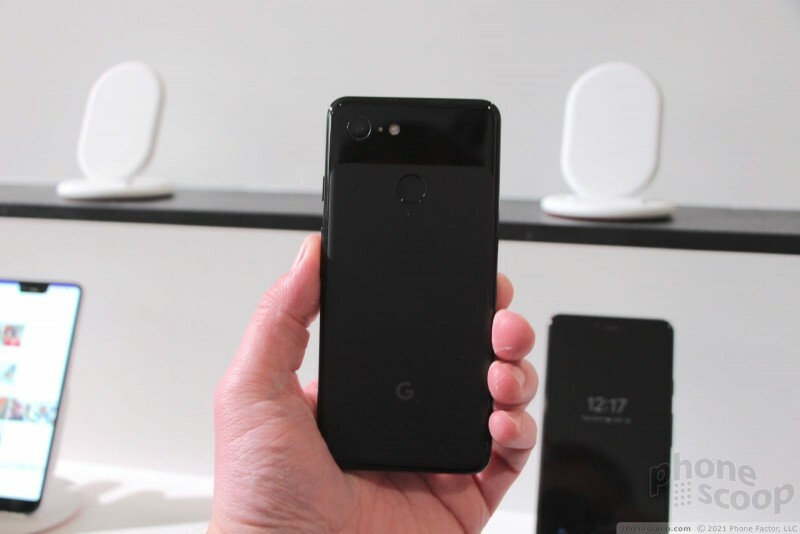 You should be aware Google includes a USB-C to 3.5 jack adapter with the phone, as well as USB-C headphones....time to upgrade the 24-bit is amazing audio quality.